Jake's Bowl Day and Tailgate Wings are a fabulous recipe that delivers flavorful wings hot and ready for your party. This is a quick and easy salute to the great American Buffalo BBQ wing recipe. Fill a frying or saute pan with enough oil to cover at least 10-12 wings. Heat the oil on medium high to 375 degrees. Season the wings using either of the dry rub spices. When the oil reaches temperature begin frying the wings in batches of 10 - 12. Fry the wings until crispy golden brown where liquids run clear about 15-20 minutes per batch. While wings are frying whisk together melted butter, hot sauce, and garlic powder in a large bowl enough to hold all of the wings. When the wings are done, toss them together in the bowl with the hot sauce. 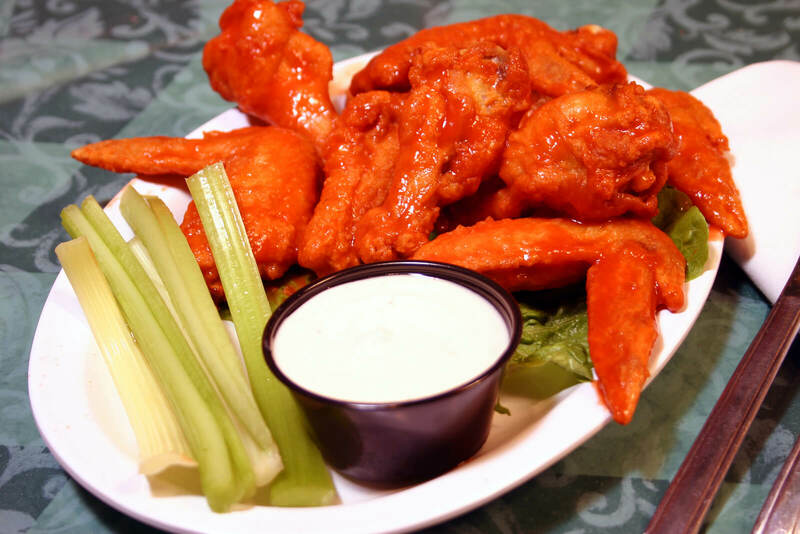 Serve the wings with a side of celery and carrot sticks and blue cheese dressing.